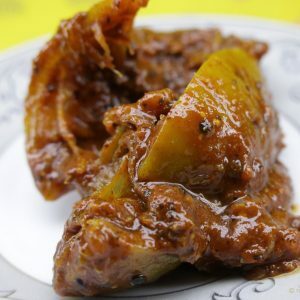 “Mula pal kainechto kola pal”. This line means after mother’s milk its coconut flower milk. Once upon a time in Kerala kids were given fresh toddy or un-fermented toddy, when they are ready for external feeding after breast feeding. 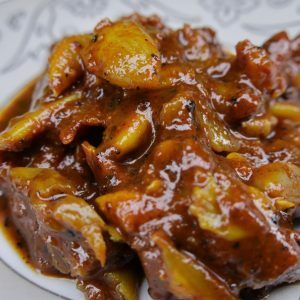 It is one of the super food. 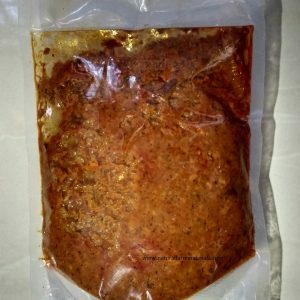 Kerala governments law for extracting kallu and selling was restricted in the year 1957 to only licensed person and they have to give a particular amount to the society where kallu is collected and later distributed to local Kallu shap (local bars which specialize only in toddy and serve it along with delicious dishes). Along with fresh toddy Kerala also lost the palm jaggery. For preparing palm jaggery fresh toddy is required. Kallu is also offered to Gods. While performing Theyyam, person who enacts the God fasts for almost a day and only consumes Kallu or tender coconut water. Toddy can be served as neera which is sweet with no-alcohol or basically fresh sap which can be sealed in tetra packs, Traditionally people added lime(chunnab in malayalam/ chuna in hindi) to fresh toddy so fermentation doesn’t happen. 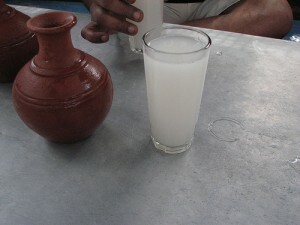 It can be sold as kallu which is a little sour beverage after fermenting the sap. Naturally it cannot become as strong as wine. Wine was consumed in olden days know as arrack which needs distillation. Toddy taste best when stored in mud vessel. The Indian Union Muslim League(IUML), Christian fathers and social organisations desperately want to stop the easy availability of toddy or liquor in Kerala. I would suggest please stay away from toddy. I feel it represent Kerala. Why don’t you stop slaughter of cows??? or Stop foreign liquor??? Far more people die because of eating red meat and unhealthy eating pattern than consuming bad alcohol. 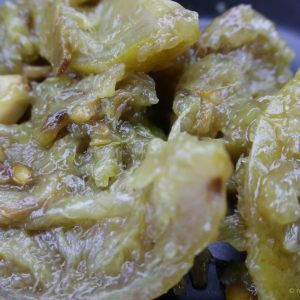 Kallu is the most difficult thing to be produced. It is a agrarian activity. Tappers have to be hard working and healthy, such people can only perform this dangerous job of climbing many palm trees in a day. Which is mostly done by the ezhava or thiyya(north malabar) community , which is 40 percent of Kerala’s population. It is well documented that in parts of isolated islands where toddy is extracted, when crops failed, for months people survived on this drink. A average healthy coconut tree will have 25 to 30 coconuts in a bunch and like that there would be 5 to 6 bunch at a time. Note: every month coconut palm produces a new bud so ideally you can harvest 1 bunch of coconut every month(production is throughout the year in Kerala). For example if we take just 5 bunch and in each bunch 25 coconut are present that totals to 125 coconuts. If each coconut has half liter of water(note it will be more than that if the tree is healthy) there will be 62.5 liters of filtered mineral water. We are not included the moisture content of leaves and stem. So imagine the amount of water coconut tree pulls up and stores! Described below is my first hand experience of how kallu (cull)is extracted atleast in Kannur. First step is to pick a blooming coconut tree. It should be bearing healthy coconut fruit buds. The tree is then leased from the owner. Direct selling of toddy by tree owners or toddy tappers is illegal in Kerala. If caught in the act the tapper will loose his license and also buyers will be prosecuted. If you are interested in tasting the real toddy, you should approach a tapper in secret if he is kind you may get the original stuff unadulterated and fresh. Now the palm tree is tied with coconut husks with the help of coir rope on every two feet interval. Making the tree a ladder. There are some tappers who use coir rope to climb daily which should be avoided because when a tapper climbs on a tree thrice daily the tree trunk becomes glossy like a tile. After some time it proves difficult to climb up and down. Then new unopened buds of the palm flower are cut leaving 95% remaining on the tree with a knife(katiaal). The whole bud is then beaten and pound with a hammer(traditionally femur bone of deer was used for this process), bud gets swollen. Each new bud can be used until it ceases to provide sap or if it gets infected. A good bud usually last for maximum 2 months. Then the cut bud is bound with tender coconut leaf or a rope ahead of the cut part, and paste of taali leaf is applied on the cut portion. It keeps bacterial infection away and makes the bud ooze sap, also not allowing it to go dry and heal. Some people use a certain type of clay instead, which is ideally not good for the palm. The clay helps in extracting more toddy than the traditional way, toddy smells and tastes a little different when clay is applied as per experts. After beating the new flower bud for a week the flower begins to ooze sap which can be collected twice daily. The same steps are repeatedly daily– cutting, beating, taali leaf paste application. Paani or the mud vessel is fitted in a fashion covering half of the bud so that the sap drips into the vessel. Some tappers even cover the mud vessel mouth with gunny sack material so insects don’t get in the vessel. 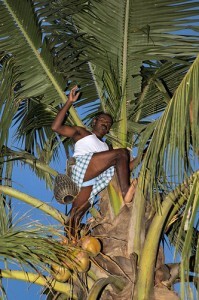 Toddy Tapper(Chethukaran) has to climb the same palm tree thrice daily – in the morning and evening to collect toddy and in the afternoon to slow down the sap from dripping as it helps the palm to recover. However not every one practice this method. A lot of insects get attracted to this drink, some of which are very poisonous like Asian hornet. Insects pose a lot of danger to the toddy tapper. The beverage is then filtered before it is ready to be served. 1 to 1.5 Liters of toddy can be extracted from each palm tree. Traditionally toddy was stored and collected in calabash vessel(chernga as we call it in Kerala) or lauki in hindi. Note: You can add a piece of white pumpkin or little edible lime/Calcium hydroxide to stop fermentation of toddy, so you can keep it fresh for a long run. In Kerala toddy is used as a substitute instead of yeast for making vellai appam(soft fluffy dosa). Use suspended thick syrupy toddy settled at the bottom of toddy container which is then mixed with rice dough and left overnight for fermentation making the appam soft. Toddy ferments automatically after sun rise. Amount of alcohol present in toddy is up to maximum 8% on the 3rd day of toddy extraction. After which acetic fermentation process starts, which brings the alcohol content down. Fresh extracted sap will have very negligible amount of alcohol. If allowed to ferment beyond 3 days, it will yield a strong acidic vinegar which has a short shelf life. Toddy should be of good quality and unadulterated. Nothing should be added to increase its intoxication. But these days local toddy shops mix spirit or other intoxicating substances in toddy. Because most malayalees need high spirit in liquor, if not then why spend 45 rupees per liter on toddy? So beware when you drink toddy from an unknown kallu shap. Because demand is high and supply is very less. Ideally Kallu shap disconnected from city and town should have unadulterated toddy. Palm toddy is sedative it also mild laxative and also stomachic. note: In the above image fresh toddy is very light in color and should flow like water. Fermented toddy will have dark shade of off-white color and will be slightly viscous. These days toddy extraction is facing challenges. Chethukaran are becoming endangered species. The younger generation is not interested in learning the art of extracting toddy, nor do they climb coconut trees to pluck coconuts. One of the reasons is Kerala has progressed since last few years, and people are more inclined to work in offices or industries than in coconut groves or fields. Coconut climbers have always been looked down. Kerala has more females as compared to males however climbers find it real difficult to get a bride. Most females don’t want their man to have scars formed while climbing on trees and other fact being it is a risky job. Some tappers die while climbing on the crown of the palm or when a coconut leaf dislodges while the tapper is resting on it. As per stats 75 percent of the existing tapper in the cities and rural areas have joined construction industry. This is true I personally know few who have taken this step. As tapping earns them very less compared to other areas. Government agencies and policy makers are ignoring coconut climbers big time and looking for mechanized options. It is definitely not possible to replace a human beings at-least for toddy tapping. There are many reason just to name a few. Identify mature coconut. Even experienced climber have to check some times by knocking on the nut. When harvesting the coconuts. In urban and most rural house will have flower pots and other non movable things which can get damaged if coconuts fall on them. Only expert pluckers can cut and through the bunch at other place. High maintenance of modern machinery used for plucking. High time they realise, encourage and support people who climb trees. Give them good facilities and medical insurance. Kerala government has at-least started and initiative to stem this rot. Toddy is now available in tetra packs. “Gods own Drink” Kerasudha is a government initiative to get toddy in tetra packs. 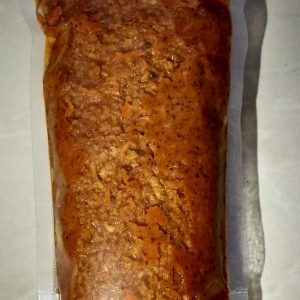 So everyone can enjoy toddy and not get zonked. But this is only on papers I feel. As I have not yet seen toddy in tetra pack in market. Easy said than done. It takes months of practice and patience to perfect the art of toddy tapping and harvesting coconuts. Check this video on how toddy is tapped. I agree with u about your article on tapping. My father was in selling toddy business when scheme was started in Maharashtra. He had 7 licence in Mumbai so far he started only 5. Nowadays we don’t have any one licence to sell genuine toddy in city. The trend of drinking fermented toddy now is missing. It’s real fact. No one selling real one and our new generation is addicted to this adulterated toddy. I agree Bipin. Forgoet about toddy new generation has not tasted many other pure stuff what our elders consumed and ate. Situation of our generation is pitiful. Adulteration is rampant in all products we consume. Very good posting. Brief description. Explanation with a video will be awesome. Good job. We are looking for two Toddy Teppers from Kerala who like to work in Sri Lanka..how can we someone?